Gritty and down-to-earth stories and photographs from this close-knit North Eastern mining community. 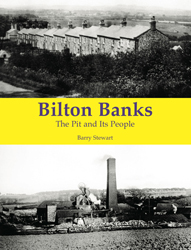 The towns and villages that arose around the coal mines of the UK, be they in Wales, the North of England or the Scottish lowland centre, were communities in the deepest sense. Sharing hardship, celebration and tragedy entire families lived and work alongside each other in a way that can only be understood by those who lived it. The whole community functioned on the shift timetables of the pit and the health and welfare of the people depended on its continued functioning. The mine was a hard taskmaster and often demanded the ultimate in sacrifice yet the loss of British coal mining left entire areas bereft and without purpose for a generation and indeed the effects of that loss are still evident in the some of the most deprived areas of the UK today. A look back at an era that has gone forever yet whose legacy can still be seen in the lives and the landscape of much of this island.